MultiChoice Namibia (MCN) is celebrating its Silver Jubilee to mark 25 years of enriching lives with a series of initiatives across the country, which started at the beginning of June and will continue until end of July 2017. The journey began in December 1991 when M-Net received a transmission license from the Namibian Communications Commission to start broadcasting. In 1992, a joint venture was formed between M-Net and Kalahari Holdings, which marked the beginning of this incredible partnership. Through the power of entertainment, MultiChoice Namibia has informed, educated and inspired Namibians from all walks of life by availing 125 television channels and 30 radio stations via its DStv satellite and GOtv DTT platforms. As a proud member of Team Namibia, MultiChoice also supports the national movement aimed at mobilising Namibian consumers to buy local as well as driving the promotion of the production of quality local products and services. MCN has also proven to be ground for pioneering numerous innovations on behalf of the group.The launch of GOtv was the biggest rollout of the latest digital terrestrial television (DTT) standard in the world and the first in Africa. Namibia was also one of the first countries within MultiChoice Africa to roll-out mobile television services, advanced DVB-T2 technology; BoxOffice as well as the successful implementation of MultiChoice Africa’s systems upgrade in 2014. While the economic impact of the company has been significant for the country, it’s the social impact that has made MCN showcase the heart of the company. One of the ways it has achieved this is by extending the power of edutainment to tens of thousands of Namibian children through the MultiChoice Resource Centres (MRCs) initiative. Since 2003, MCN invested in over 300 of these multimedia facilities, giving thousands of learners and teachers access to the DStv educational package. As a leading entertainment brand, MCN’s aim is to grow hand-in-hand with Namibia’s local creative industry. MCN is proud of its association with Namibia’s burgeoning film and production industries as they recognise that there are plenty of great untold Namibian stories that need to be shared with the rest of the continent. Most recently, Namibian drama series, Third Will, premiered on Zambezi Magic (DStv Channel 160), making it accessible to Southern Africa. MultiChoice takes great pride in bringing Namibians and the rest of the continent the best of Namibia. 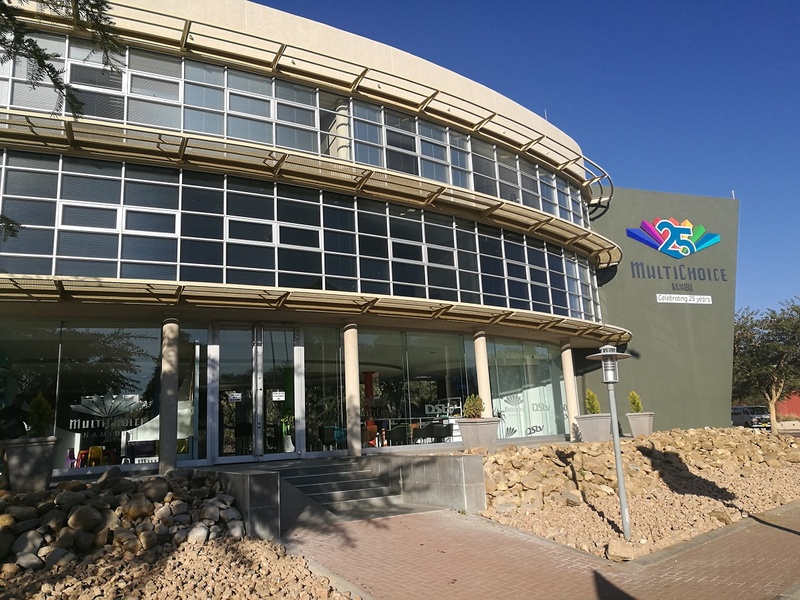 To ensure our viewers watch the best of Namibia on cutting technology, MultiChoice launched the Namibian Broadcasting Corporation (nbc) to DStv viewers in 2002. To provide universal access, the company and the nbc signed a five-year ‘Channel Distribution Agreement’ in 2016 which saw the two organisations join forces to distribute two Namibian television and 8 audio channels on DStv and GOtv. Namibia’s Free to Air channel, One Africa TV (OATV), launched on DStv and GOtv in 2014. Many Namibian locations and talent have been featured in programming across multiple channels including kykNET, VIA, Weather Channel, SuperSport among others. It’s also on MultiChoice’s DStv platform that local personalities like David Mbeha, Dillish Matthews, Stefan Ludik, Maria and Sally achieved the stardom they deserve. MultiChoice Namibia’s Silver Jubilee marks a time of change for the organisation as it’s reshaping the business to improve on customer experience, whenever and wherever there is customer engagement. Going forward into the next 25 years, MultiChoice will remain committed to putting customers at the heart of all the decisions made every day. For more information, please follow the hashtag on social media: #lookhowfarwevecome. MultiChoice Namibia (MCN) has been delivering on our promise of making the power of entertainment accessible for the last 25 years.The groundbreaking moment for Namibia was in December 1991 when M-Net received a transmission license from the Namibian Communications Commission to start broadcasting. In 1992, a joint venture was formed between M-Net and Kalahari Holdings.Throughout the last quarter of a century, MultiChoice Namibia has been a much-loved part of society, a friend who brings the family together to share precious moments and unforgettable memories.